Our friends over at John Deere sent us some great lawn care information that we wanted to share with everyone before Labor Day. There is no audio or video with this post. A survey with Harris Interactive found out that 79% of homeowners and renters in the U.S. are planning to mow their lawns in preparation for entertaining at home this Labor Day. 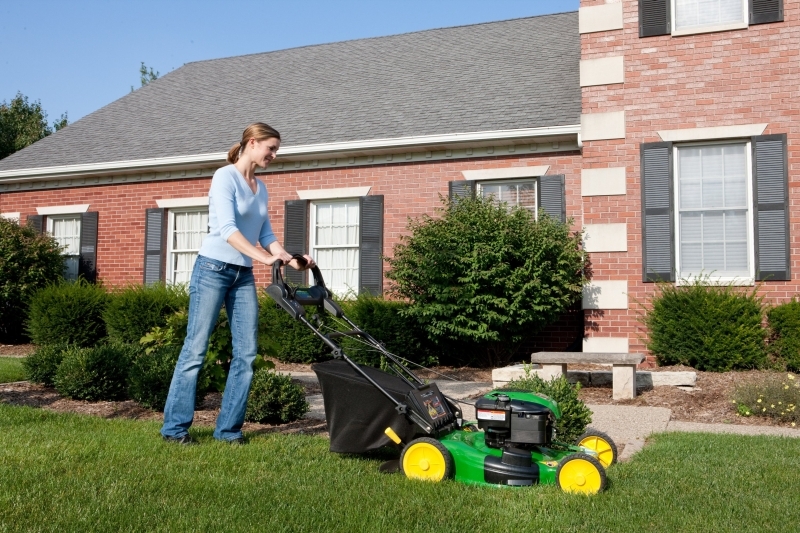 Adjust the height of the mower deck to mow only the top one-third of the blade of grass. This helps encourage a deep root system and keeps the lawn looking and feeling healthy. Mow in the mid to late-morning, when it’s cool and dry. After the morning dew dries off is the best time for the grass–it isn’t suffering from afternoon sun stress, but it isn’t so damp that grass clumps form in the blades. Water your lawn if you notice curling grass blades or “footprinting.” If you’re dealing with drought, mow on the high side. Fertilize just yet. It can help revitalize a stressed lawn but it takes time, and the lawn should stay clear of activity for several days to allow the fertilizer to penetrate. Cut your grass too short. Higher heights usually look better, provide for a deeper root system, and help prevent from invading weeds. Mow the same direction every time. This will leave streaks and striped lines that grow back irregularly and look rather unsightly. Thanks for all these great tips! After labor day but before October, it’s nice to put in some weed stoppers to the soil to help prevention of growing weeds.